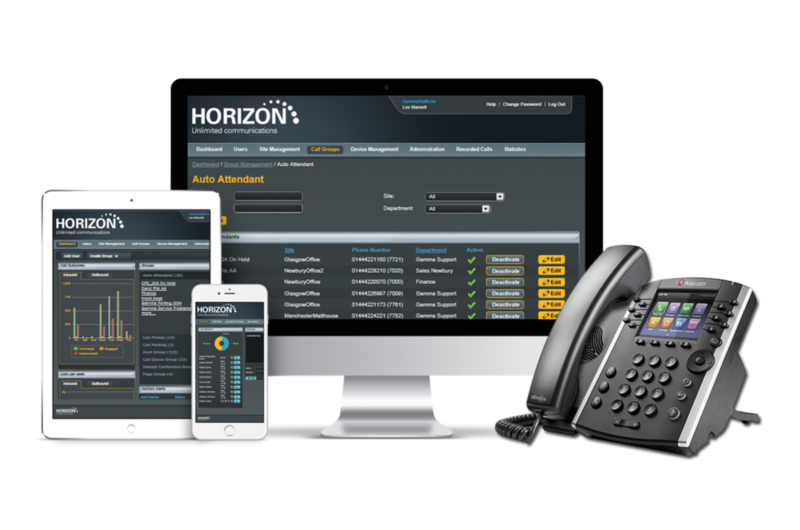 Horizon is a Cloud-based phone system allows you to easily manage your communication activity whilst maximising your team’s productivity and lowering call costs. As a complete communications service it also provides an extensive range of fixed and mobile telephony capabilities via an easy to use web portal. Horizon takes the burden away from your IT team. Local administrators manage and configure the system according to your organisation’s needs. Download our Horizon Brochure for further information. Features you can easily control, all operated through an easy-to-use web interface. The solution is a scalable, flexible, on demand service with no hidden costs. One number anywhere, integrate your fixed and mobile services so that you never miss a call. Extend your business reach and use any local number no matter where you are located. Built in Business Continuity, unexpected events, such as snow, won’t disrupt your business.